Rumen Leonidov was born on 17.05.1953 in Sofia. He graduated Bulgarian Philology at the Plovdiv University "Paisii Hilendarski". 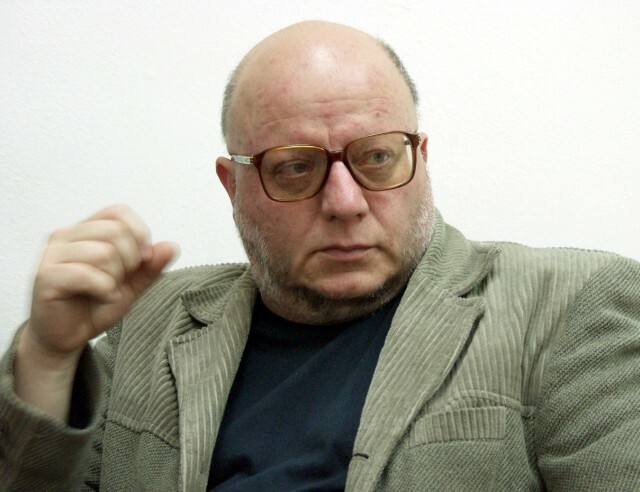 He has worked as an editor in many literary issues, including "Fakel", "Balgarski mesechnik" the self-publishing "Glas", "Literaturen vestnik" and others. He is the author of eight books of poetry: "Warning" (1977), "And the fire remembered the spark" (1982), "Large and Small" (1990), "The inaccurate dimensions of life" (1995), "The Dream of the Seller" (1997), "End of mythology" (1997), "Classic tracks" (2000). Abroad he has published two medleys - "Stone in the swamp" (1998, Skopje) and "End of mythology" (2007, Warsaw). He has won many awards for poetry, among them: "Silver plaque" for the book "Great and Small" (1995, Rome), first prize in the "Melnik Evenings of Poetry" (2008) and others. He translates from Russian and French. He is a member of the Association of the Bulgarian Writers.